Super Spins Casino - Claim Your Exclusive Welcome Bonus Today! At Super Spins, things are a lot different. Firstly, Super Spins presents a very cool atmosphere. The look and design of the website is quite inviting. The background is very colourful and Super Spins uses very minimal graphics to present several banners on the home page. Certainly, you will love the banners on display because of it all about bonuses and promotions. Even though the welcome bonus is not too rosy, there are a few active promotions with lots of rewards. Also, Super Spins provides a selection of quality titles from renowned game providers. So, you can be sure to find your favourite titles from the best game providers. Also, Super Spins promotes fair and responsible gaming. The presence of an MGA license and a remote gaming license from the UKGC is comforting. Also, the AGCC takes care of all the selection of games that are offered by iSoftbet. Video Slots: At Super Spins, Video slots account for more than 90% of the entire selection of games. Hence, they ensure that only the best brands are selected. Some of the top games that make up this selection include Book of Oz; Pearl of Orient; Gonzo’s Quest; Slot of Money; Jackaroo Jack; Mystic Mirror; Starburst; Aloha Cluster pays; Kronos; Wolf Gold; Dolphins; Jack and the Beanstalk; Thunderstruck II and many more. Scratch Cards: They also offer a selection of scratch cards that include 7th Heaven; Slot 777; Hit the Bank; VIP Black; Cash Farm; Queen of Diamonds and many other games. Instant Games: Enjoy titles such as Glamour 7s; Magic Spinner; Keno Deluxe; 3 Wishes keno etc. Irish players also get to enjoy the welcome package at Super Spins. Hence, as a new player, all you have to do is meet the minimum deposit amount of €20 and you are instantly going to receive a double for your hustle. 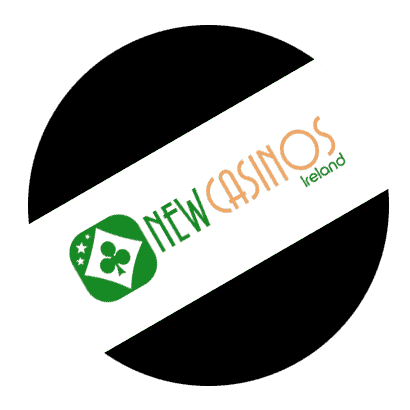 Hence, when you make a deposit of €50, you will instantly receive €100 plus 20 extra spins. Also, as you make your second and third deposit, Super Spins also rewards you with 40 extra spins each time. In the end, Super Spins offer as much as €200 and 100 extra spins on selected games. The welcome bonus and all winnings from using the extra spins must be wagered a minimum of 35 times before requesting for payout. Each of these promotions has different packages. At present, the Big Win promotion is the talk of the moment. The lucky winner is going to receive an iPhone X. meanwhile, 200 other players will also be awarded plenty of extra spins. If you want variety, Supers Spins has it covered. The platform integrates plenty of payment options. Hence, players from Ireland can select from the list of payment options that include MasterCard; Paysafecard; Neteller; Visa; Trustly; Skrill; Paysafecard and many other payment options. Typically, the electronic wallets offer a faster means of making withdrawals. Usually, players would receive their payment between 3 to 5 days as long as every other requirement is met. However, credit cards and bank transfer takes a longer time. In the end, players get to make their choice based on convenience, speed and security. Super Spins offers a super gaming environment to players who love fun. The platform boasts a huge selection of quality games. As well, there is a team of support personnel trained to provide excellent services to players. So far, everything seems to be in order.